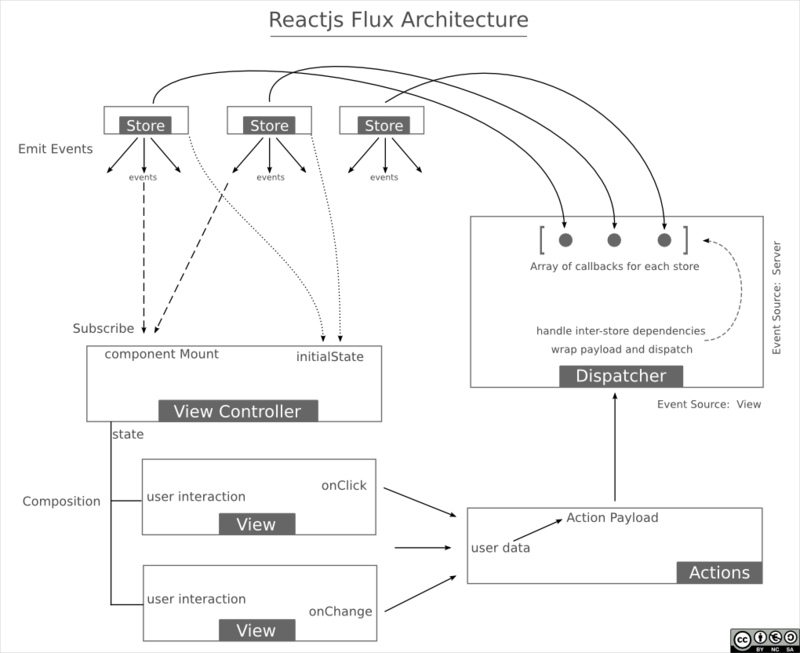 The react flux architecture example in the TodoMVC repository has quite a bit of code but it takes a long time to understand the relationship between the different parts of the the Flux architecture itself from that code. In an effort to save you (and my future self) time, I put together a visualization of the different pieces of the architecture, the way it is done in the TodoMVC example, and how those parts communicate with each other. Essentially, the flux architecture has 5 main components. In the sections that follow, you will find a brief description of each of these components and what they are intended to do based upon the TodoMVC example. The only module in which you are allowed to update the value of the underlying model. An EventEmitter that emits an appropriate event when the value of the underlying model changes. How does the store work? When the store registers itself with the dispatcher, it provides a callback method. The callback receives at least one argument which is sent from the dispatcher when the callback is invoked. Lets call this object the dispatcher payload. In this callback method, the store examines the action attribute of the payload to determine what action needs to be performed on the model/underlying data structure. Emits an appropriate event once the model/underlying data structure has changed. Contains a method that allows stores to register themselves with the dispatcher. Contains a list of registered stores. Think about this as a store registry. Handles payloads from different sources e.g. – Server Side, Client Side (View). How does the dispatcher work? Takes the payload received from the source. Wraps it in an object that allows the handler identify the event source if required. This wrapper object is what I would call the dispatcher payload. Invokes each store in the store registry with the dispatcher payload. Is the master React component/view that contains all other views as sub components of its render method. Is the one that subscribes to interesting events on the stores. Preferably never initiates change events on the store by itself. This task is left to the sub components/views that actually have the interaction logic. How does the view controller work? Sets the initial state by invoking a method on the store(s) that returns the state of the underlying model. Subscribes to store events on component mount. Unsubscribes from store events on component unmount. 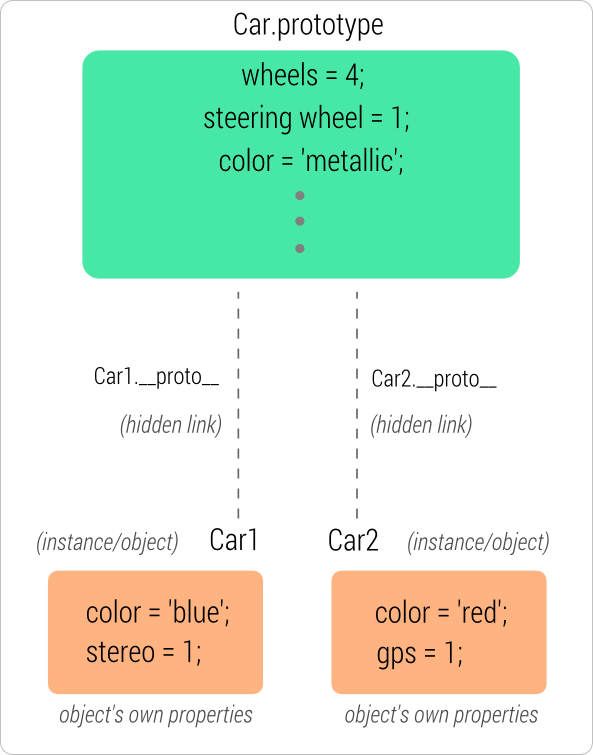 In the render method, it passes its own state(which is nothing but the state received from the stores) to the sub components/views so that they can render it as per business logic. Contains methods that correspond to the actions that the user performs as per business logic. Lets call these methods action methods. Action methods receive argument that are nothing but data sent to it from the view that generated the user interacted with. The action method can examine the arguments and construct a payload object that contains all the information necessary to perform the requested change in the underlying store. The dispatcher is then invoked with this action payload object. The only place where user interaction is handled. Listens to events on the UI that would lead to a change on the underlying model. I hope this helped you save some time! Do let me know in the comments if I missed something. 185 queries in 0.159 seconds.